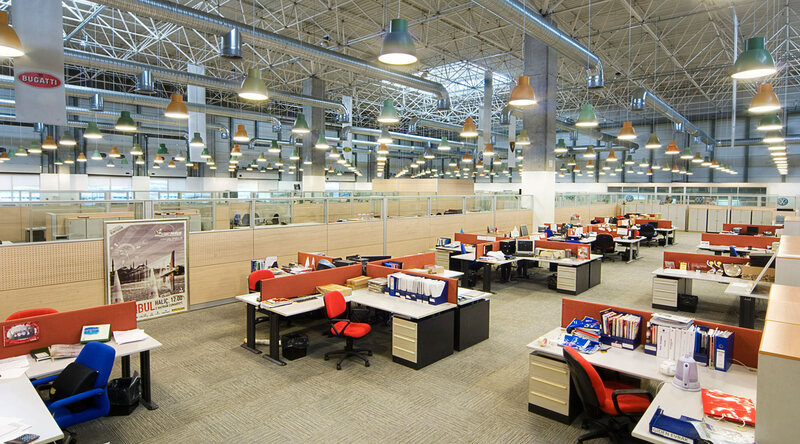 The objective of the project is conversion of existing a warehouse into a contemporary office building for Doğuş Automotive which brings together all the distributed subsidiaries. 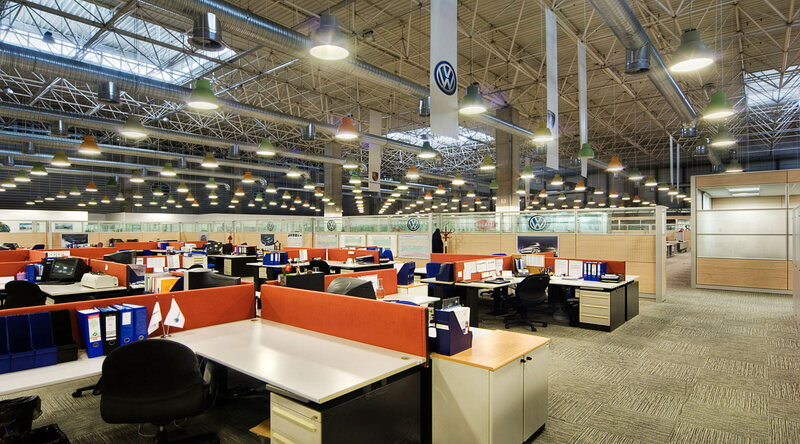 Using modular architectural elements have made it possible to achieve flexible spaces in the working areas. 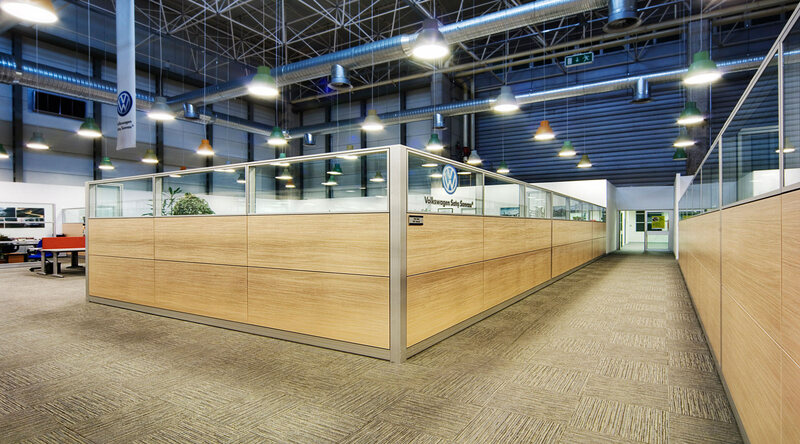 The effects of acoustic discomfort caused by the space and the volume of the building have been overcome by using sound absorbing fabric and acoustic wood panels.